First of all I’d like to thank Shawn. He raised a good question, one that I’ll answer in this study. As you probably already know, the NASDAQ has significantly outperformed the Dow year-to-date. 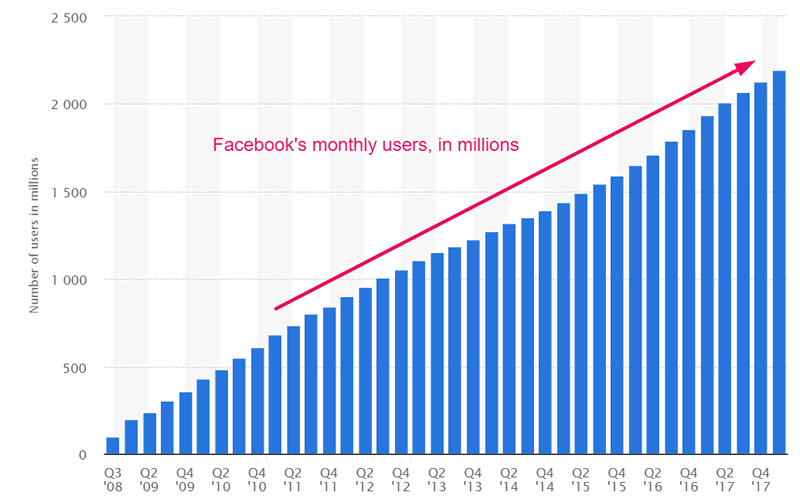 This has got some market timers worried of a “bubble” in tech and FANG stocks (Facebook, Amazon, Netflix, Google). Part of this outperformance is understandable. Tech companies (particularly software companies) aren’t that exposed to China. Facebook, Netflix, and Google are already banned from China. And as software companies, they don’t face the same global supply chain risks that the large cap Dow stocks do. Tech’s earnings growth is on fire. Some people are surprised by tech’s strong earnings growth. I’m not. Despite their massive size, tech companies are absolutely crushing it in terms of growth. So to answer Shawn’s question, how normal is the divergence between the NASDAQ and Dow? This chart illustrates the NASDAQ:Dow ratio. The early stages of an economic expansion. And the late stages of an economic expansion. We’re clearly not in the early stages of this economic expansion, which by default suggests that we are in the late stages of this economic expansion. 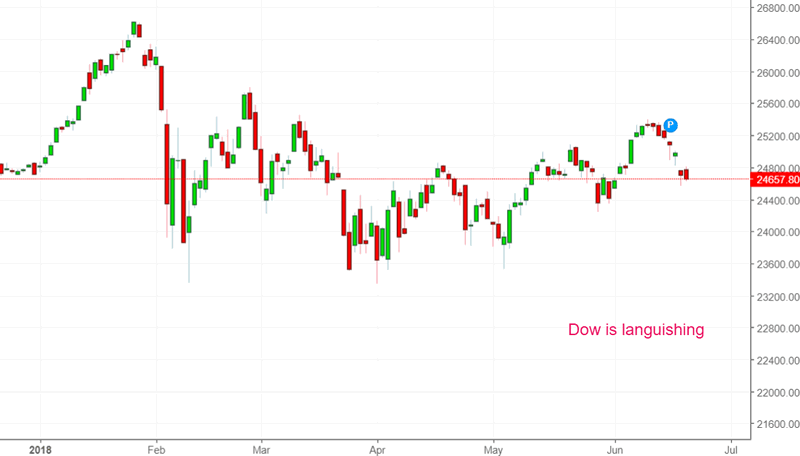 And since the stock market and economy move in the same direction in the medium-long term, the stock market must also be in the late stages of its bull market. (This is similar to the conclusion we reached in Study: what happens next when tech outperforms utilities and consumer staples). The NASDAQ outperforms by Dow by at least 12% in the past 118 days (approximately 5.5 months) while the NASDAQ is still above its 200 daily moving average. *We’re looking at cases in which this is the first signal in 1 year. 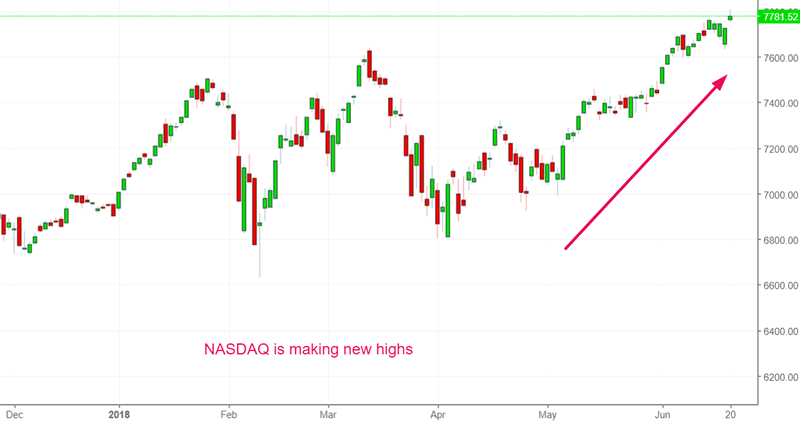 This study basically just looks at what happens next when the NASDAQ massively outperforms the Dow for the first time in a long time, while being in an uptrend. The stock market goes up pretty much every time in the next 6-12 months. Based on several recent market studies, we can see why the stock market is about to melt-up in the next 12 months.